Palm Oil has been one of the hottest and most highly scrutinised, environmental topics over the past few years. Although often well intentioned, there have been many boycotting campaigns promoted that are causing more harm than good. Our goal is to support a more intelligent, accurate solution that will resolve this issue without causing harm. As a manufacturer, we have unlimited access to the most knowledgeable professionals on this topic, and the solutions that have been created to combat the problem. Palm Oil is the most widely consumed vegetable oil on the planet. We are all exposed to and we are consuming palm oil products multiple times per day. Even if you are actively boycotting “palm oil”, there are many areas where the use or ingestion of palm oil derivatives is unavoidable. Many ingredients are purchased on an ‘any origin’ basis. It is dependent on the season the crop has had, the quality and abundance of it, etc. Supply companies have a demand for which they need to provide a constant and steady supply. This is why a legitimate confirmation whether ingredients have been sourced from either coconut or palm cannot be given. Likewise, the exact location it was sourced from cannot always be accurately indicated. There is a wide range of ingredients that can be sourced from either coconut or palm and as they carry the same chemical name, it is impossible to differentiate from reading an ingredient label. Our company philosophy has always been based around 100% disclosure, operating with honesty and integrity at all times. We stand beside the WWF on the palm oil issue. The WWF believes that the palm oil industry can grow and prosper without causing the destruction of tropical rainforests by adhering to the principles and criteria of the Roundtable on Sustainable Palm Oil (RSPO). The WWF encourages the purchase of products that contain certified sustainable palm oil. At Tri Nature, our raw materials suppliers work closely and in compliance with the RSPO. 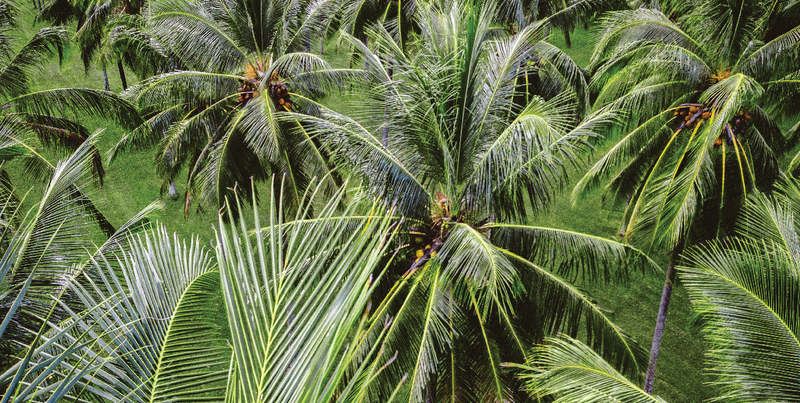 This ensures that any palm oil derivatives that may be present in Tri Nature products are certified sustainable.